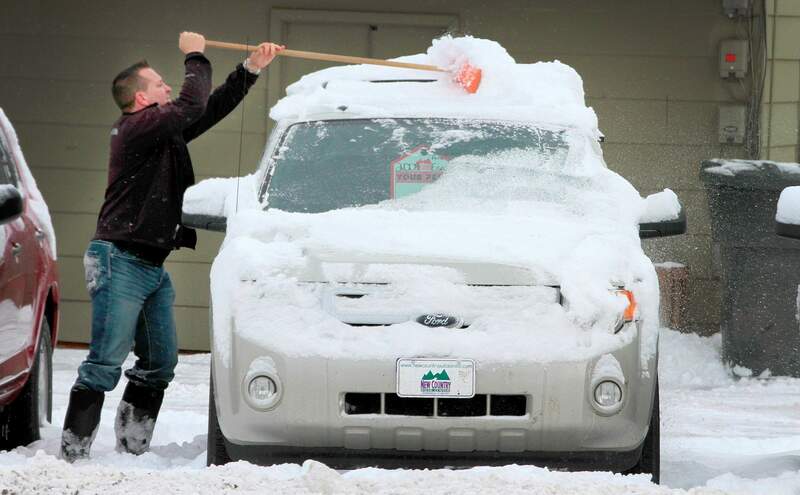 A salesman for Southwest Auto Center clears snow off cars in this 2013 file photo. Rather than interview snow-bound drivers, Action Line will make some sweeping generalizations. It’s obvious that a snowy roof is not their “top” concern. Clearly, people who don’t clear their vehicle of snow are likely to give columnists the brush off. So we asked Mrs. Action Line what she thought of the situation. Perhaps that was the wrong thing to do. Not only does Mrs. Action Line love having a garage, but she’s a world-class car cleaner-offer when out and about. What comes next is also sadly predictable. “They’ll turn on the windshield wipers, but the snow will be too heavy to sweep away. So they’ll have to rush out and clear the snow with bare hands while the car is idling in the middle of the street,” she said. A car that barley had its windows cleared of snow drives on north Main Avenue. No one gets clemency during inclemency. Not from Mrs. Action Line, anyway. Then there’s the subject of garages. It’s not an open-and-shut matter. Years ago, Action Line was the president of a local homeowners association. Each townhome had a massive garage, yet most residents parked outside in spots designated for visitors. The problem was stuff. People had boxes and boxes of stuff. Plus, sets of old furniture, used appliances, broken children’s toys, entire wardrobes of clothes and whatnot. Vehicles worth thousands of dollars were left out in the elements while worthless junk enjoyed heated shelter. It was absurd. Annual garage sales didn’t change things. In talking with other HOA leaders, it was the same everywhere. Just because you have a garage doesn’t mean your vehicles are inside. In any case, three-fourths of all houses in the West have garages or carports, according to the latest American Housing Survey from the U.S. Census. However, when it comes to rentals, only 37 percent of them have garages or carports. About a third of La Plata County residents are renting their home. So that could also explain the snowy-roofed ramblers rumbling along roadways. Action Line tried to see if garages were counted during the last Census on households. However, because of the shutdown, government websites aren’t maintained and there’s no one answering the phone. Which puts things in perspective. We need to raise the roof. If our biggest issue is people driving around with snow on their cars while hardworking civil servants are getting buried during a snow job of pointless petulance, we need better shovels and bigger brooms. Email questions to actionline@durangoherald.com or mail them to Action Line, The Durango Herald, 1275 Main Ave., Durango, CO 80301. 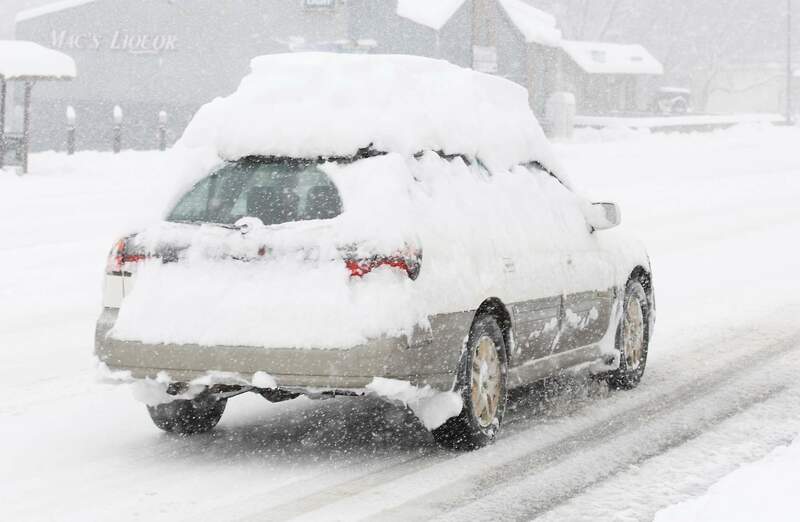 You can request anonymity if your roof rack keeps that massive pile of snow from avalanching over your windshield.